The benefits package in 2017 looks a lot different than the benefits packages of old. Pensions are gone. Healthcare has higher premiums. Employees of different generations want different things. And, yet, it’s possible to build a complete benefits package that attracts new candidates, retains your top talent and sets your organization up for success. Author Rick Wartzman reminds us in his book, “The End of Loyalty,” that benefits are a relatively new phenomenon. Since wages were capped during World War II, employers instated benefits to attract employees during a time of labor shortages. Unions further bolstered employee benefits. However, automation, globalization, union decline and shareholder commitments constricted the benefits landscape. From the 1970s on, employers scaled back on employee benefits. SHRM’s 2017 Employee Benefits report revealed that 33% of U.S. organizations increased their benefits programs over the last 5 years in order to better compete for talent. Now as in the past, the following benefits most influence people’s employment decisions. Flexibility is becoming increasingly important for today’s employees. Those with children, aging parents or who have insatiable wanderlust (a desire to travel) want the ability to work wherever, whenever. In the process of my own recent job search, I came across employers who offered “Summer & Ski Fridays.” Employees could work a half day every other week without subtracting from their PTO bank in order to spend more time outside. In other words, a 9 to 5 schedule, Monday–Friday has become less of a fixture of the workplace. Other benefits that are on the rise according to SHRM are professional development, wellness programs and work-life/convenience services. In exchange for these arrangements, employees are often more loyal and engaged. 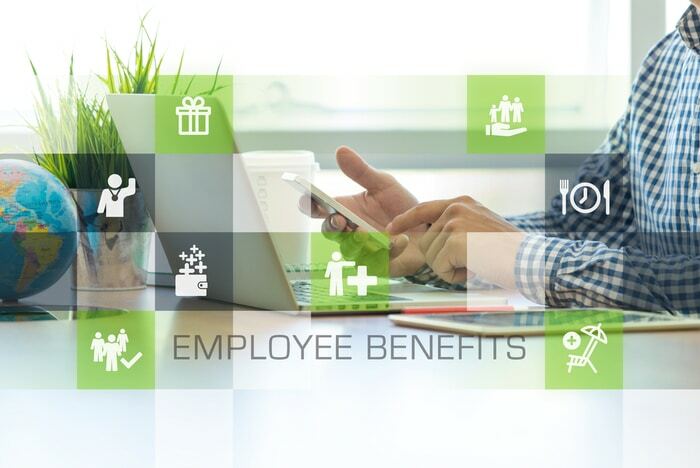 What’s more, according to a Watson Wyatt Worldwide survey, companies with strong employee benefits packages add 7.3% in additional profit to their bottom line. Any benefit additions or subtractions need to balance employees’ needs with employer goals.